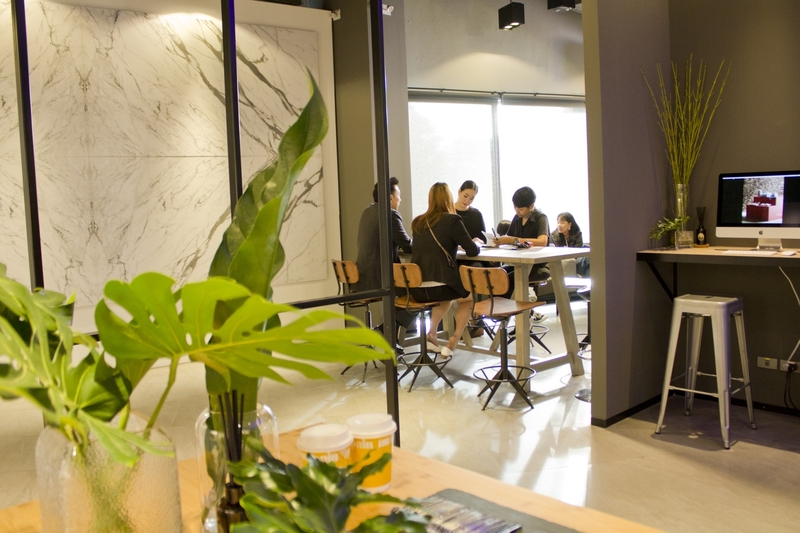 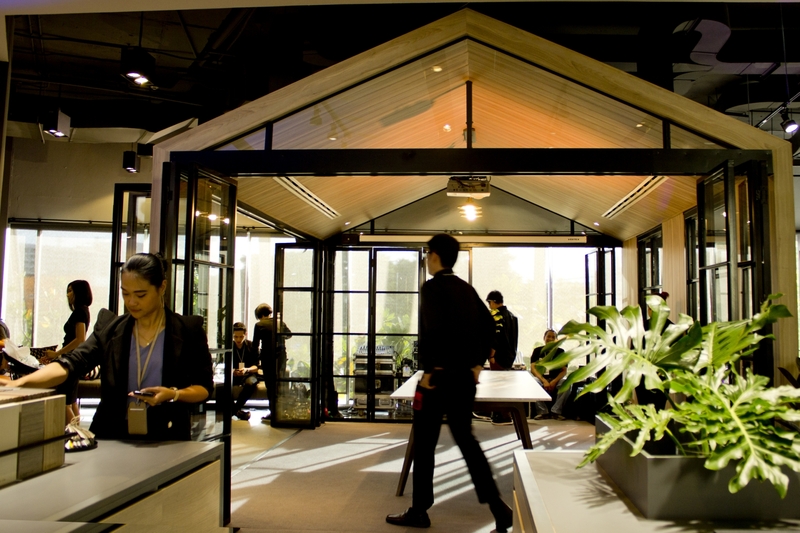 The first collaboration between TAK Products and Services Co., Ltd. and WG Co., Ltd. recently launched at K Village seems like no ordinary product display showroom that we’re all familiar with. 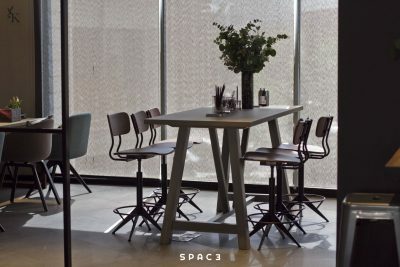 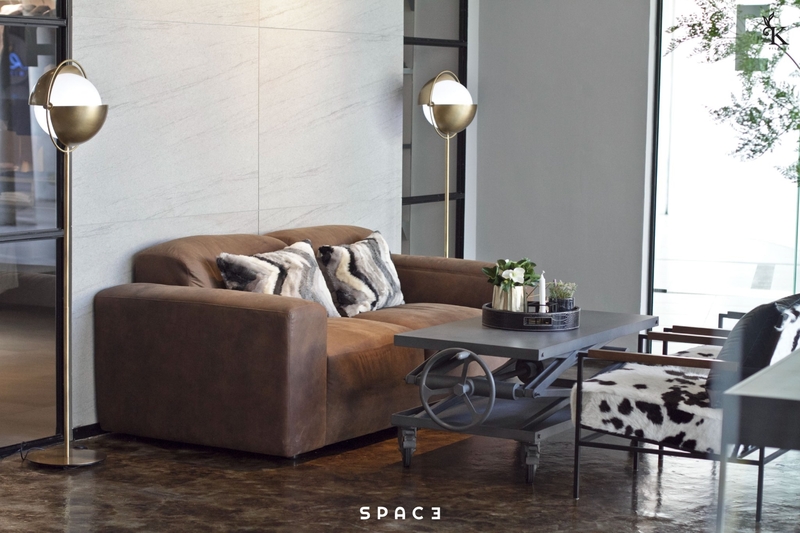 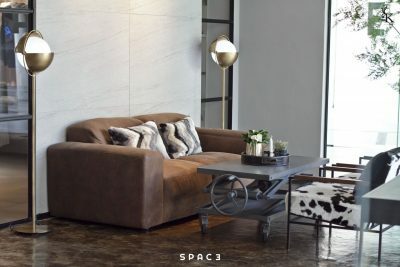 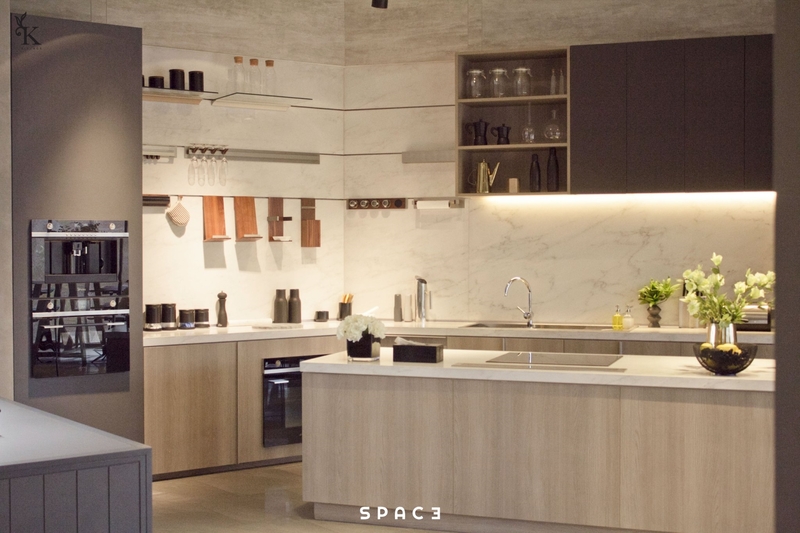 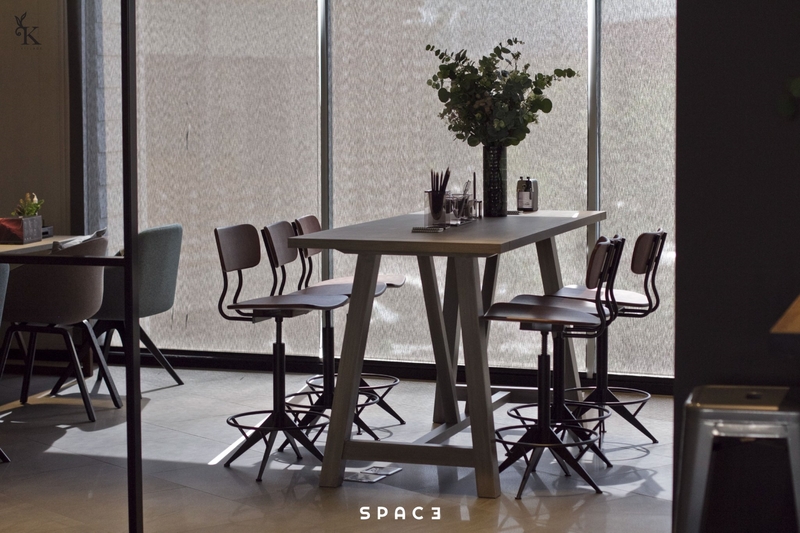 SPACƎ’ is a ‘3D catalog’ that exhibits an impressive range of products, from laminate panels (by Lamitak and Dekodure Distil) and lacquered board (Alvic) to closet and kitchen fittings (FitArt). 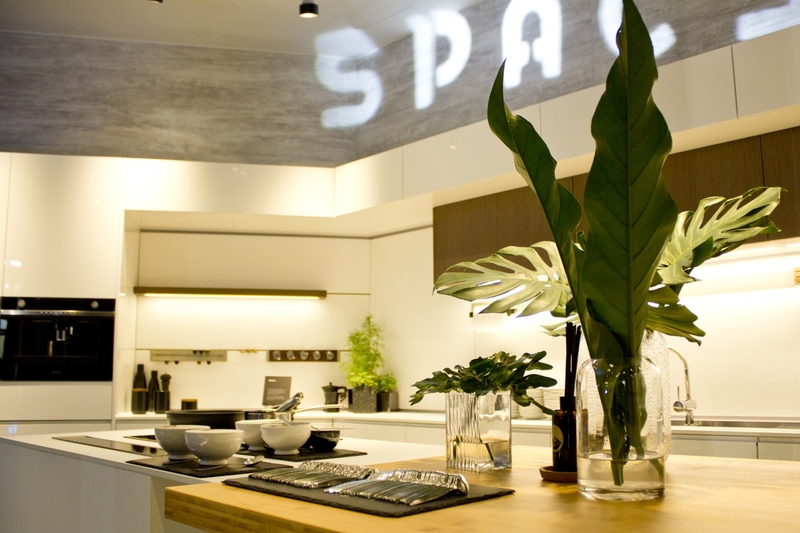 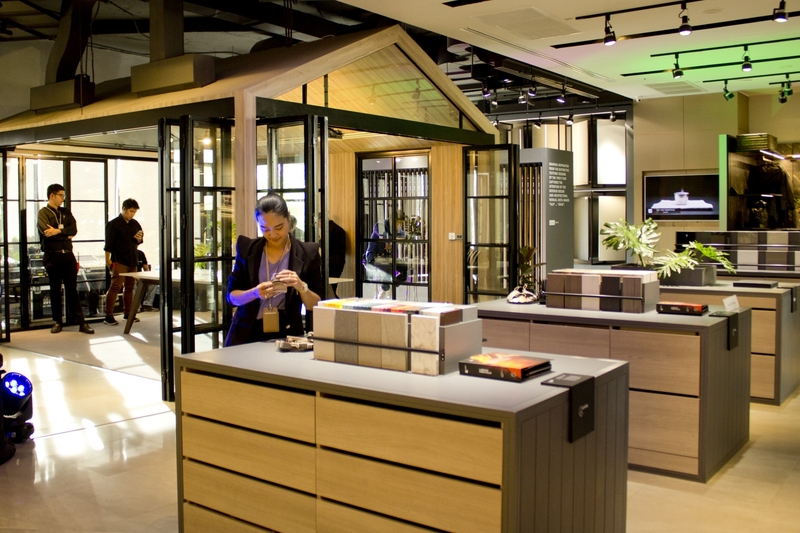 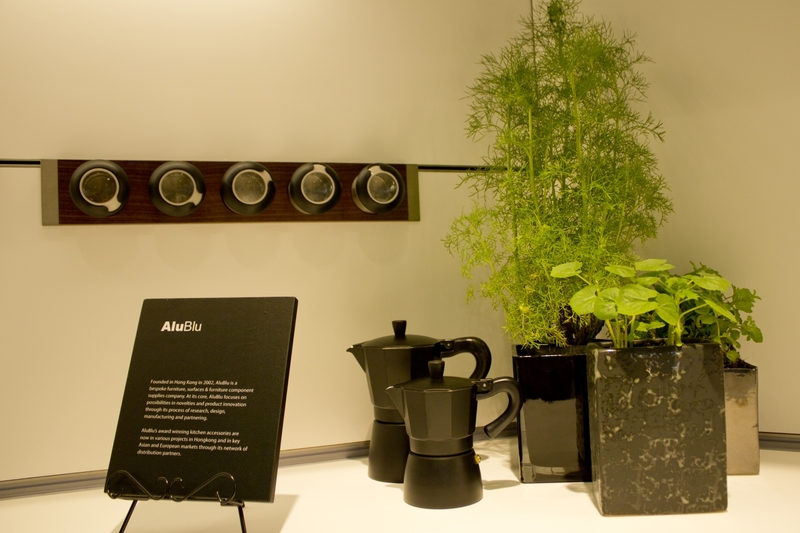 The showroom fully serves its purpose with the products’ actual functionalities being presented in the beautifully curated, simulated living spaces. 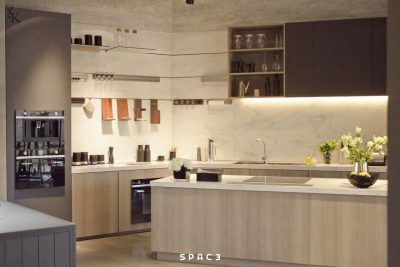 But what we find to be interesting and worth mentioning about the design is the way it includes everything within the program from a ‘workspace’ to the showrooms of kitchen and food preparation areas all the way to a walk-in closet and living space. 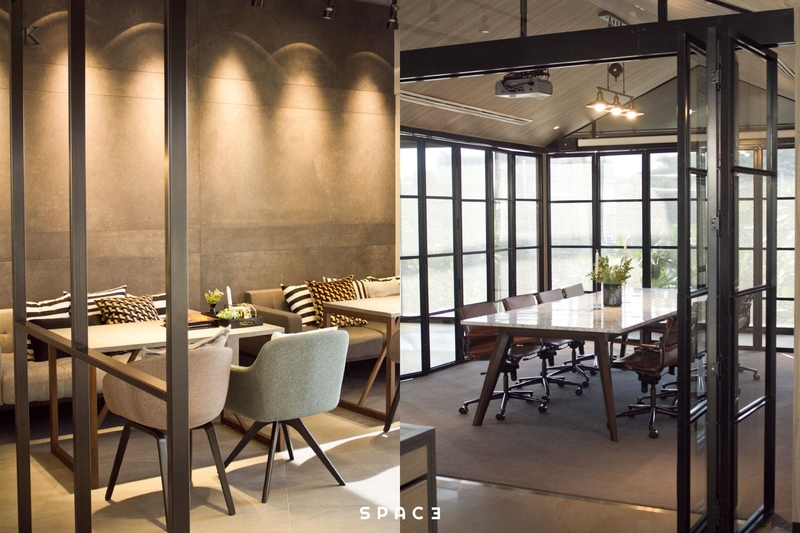 Not only does such addition allow for one to personally experience the products’ aesthetic and functional qualities but it also serves as a space for architects, interior designers or contractors to meet and collaborate with their clients while in the company of the actual materials being discussed.